Newcastle is becoming more and more important and is influencing the music world. Artists such as Cheryl Cole, Sting, Brian Johnson from AC/DC and Andy Taylor from Duran Duran are just a few names were originally from the city in North East England. Jimi Hendrix also treated Newcastle as his second home and spent a lot of time in the town during the 60’s. Today, Newcastle is known for it’s underground music scene that includes styles such as drum and bass, progressive house and folk metal. Bands of this new generation are Skyclad, Prefab Sprout and Martin Stephenson. Besides the artists and band, Newcastle also has various music venues that host a variety of event throughout the year. Metro Radio Arena, O2 Academy and the Stadium of Light are some of the bigger and most notable ones. The Metro Radio Arena is an established venue and major North East landmark, alongside the Tyne Bridge, Angel of the North and Hadrian’s Wall. The venue plays host to millions of visitors to music concerts, exhibitions, conferences and Premier League Basketball. Performances from Jessie J, Bruno Mars and JLS are a few names to hit the Metro this year! The venue was opened in 1995 as the Newcastle Arena with a concert by David Bowie. Since then, it has hosted some of the finest world class entertainers to visit the region, including Tom Jones, Neil Diamond, Shirley Bassey, Kylie Minogue, Pavarotti, Sir Elton John and Sir Cliff Richard. The O2 Academy is the second biggest venue in Newcastle and has a capacity of almost 2,000. The venue used to be a bingo hall and was transformed in 2005. However, This year, bands such as Bastille, Rudimental and Blue performing at the O2 Academy. Another venue which is a bit outside of Newcastle is the Stadium of Light. The stadium is home to Premier League club Sunderland AFC. However, it is used for several concerts throughout the year. The venue was opened in 1997 and has a seated capacity of 49,000. 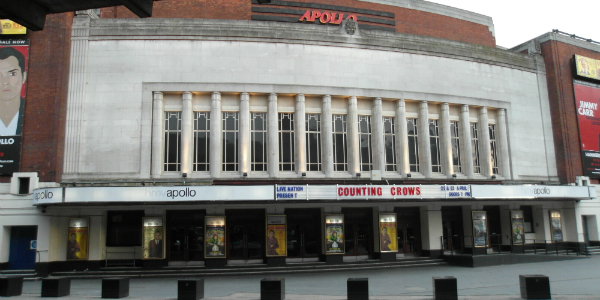 Artists perform here as part of their arena tour such as Bon Jovi, Rihanna, JLS and the Wanted.